Opera Software has updated their Opera Mini. 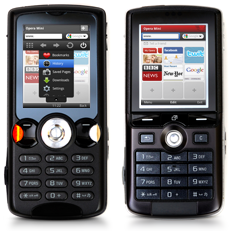 This update gives a new skin to devices with low resolution screens, and Nokia series 40 phones with low memory. For these devices, the new skin improves memory usage and usability, reducing the frequency of “out of memory” issues encountered. A lot of businesses operate in challenging environments and Opera Mini enables users to access information under lowlight conditions via night mode and also customise their experience using image quality and text size options. As websites can be saved and viewed offline, Opera Mini provides teams with the information they need, even when no connectivity is possible, so users can be reassured that they have essential information in the case of communication outages or even in hazardous environments where transmitting RF equipment is not permitted. BOLT is a full featured mobile Web browser that supports streaming videos, RSS feeds, social media sites, Google Maps. BOLT provides a desktop-like view of the Internet on virtually any mobile phone, from basic phones to smartphones. This update is highly recommended for users of Nokia S40 feature phones with limited memory, such as the popular Nokia 5130 XpressMusic, Nokia 6300 and Nokia 2700 handsets. This upgrade will also benefit phones with a small screen size, such as the Sony Ericsson K550i and Sony Ericsson W810i phones. I can install my opera mini because of java error io exception, my cp is samsung c3053,why? got a Satio and using built in browser or opera tells me no java is installed?